Halloween was my first Wednesday with no chemo treatments. It. Was. Exhausting. 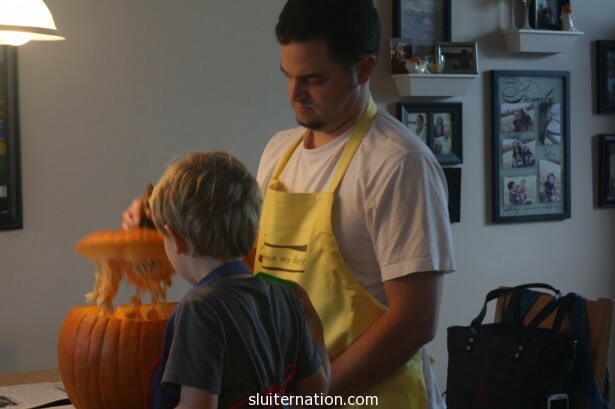 First of all, if you have ever been within a 2-mile radius of any school on Halloween you know being in there with the kids is not for the weak. My body’s muscle memory has memorized Wednesdays as a “nothing day” and this past Wednesday was an “everything” day. By the time school let out, I thought I was going to fall over. I may have cried a little. But as parents we put one foot in front of the other and keep it going. So I picked up all the kids, and headed to my parents’ house so they could trick or treat there. 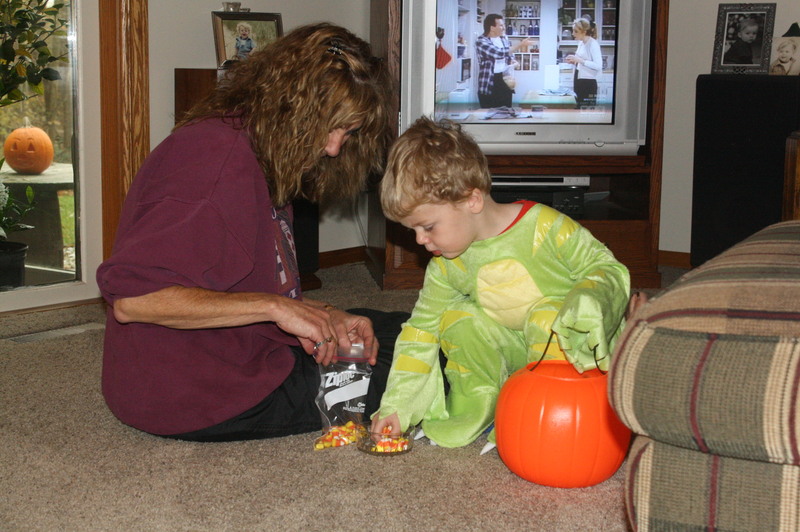 Then we met Cortney back at home to head to his mom’s house for more Halloween fun. 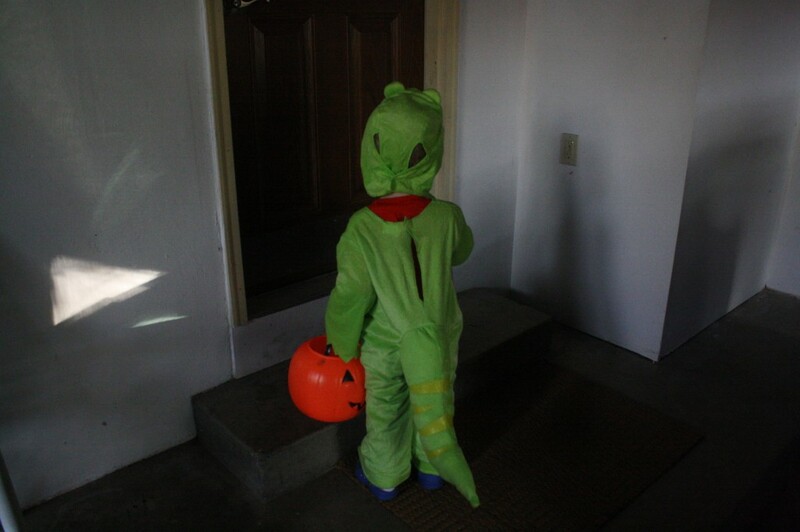 Then after that, it was time for trick-or-treating. 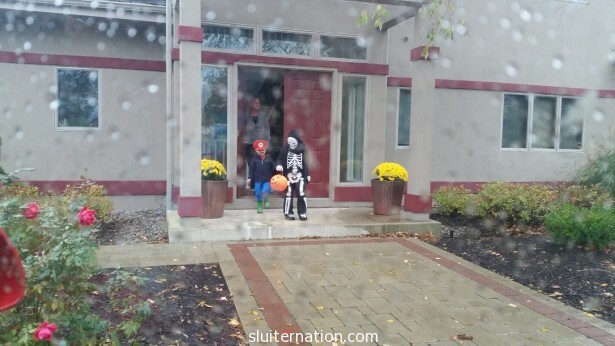 I decided that if the boys were old enough to ride their bikes around our subdivision, they were old enough to trick or treat it on their own, so I dropped them off once we got inside the sub, and told them to just trick-or-treat their way home. It took them an hour, but they loved it. Cortney took Alice. She went to one house and felt done. My kind of girl. I went to bed by 9pm. The rest of the week was still a struggle. Here is the thing no one told me: chemo might be done, but my body is still exhausted, my immune system is still weak, and nothing magically “goes back to normal.” They probably actually did tell me this, but I lived it this past week. 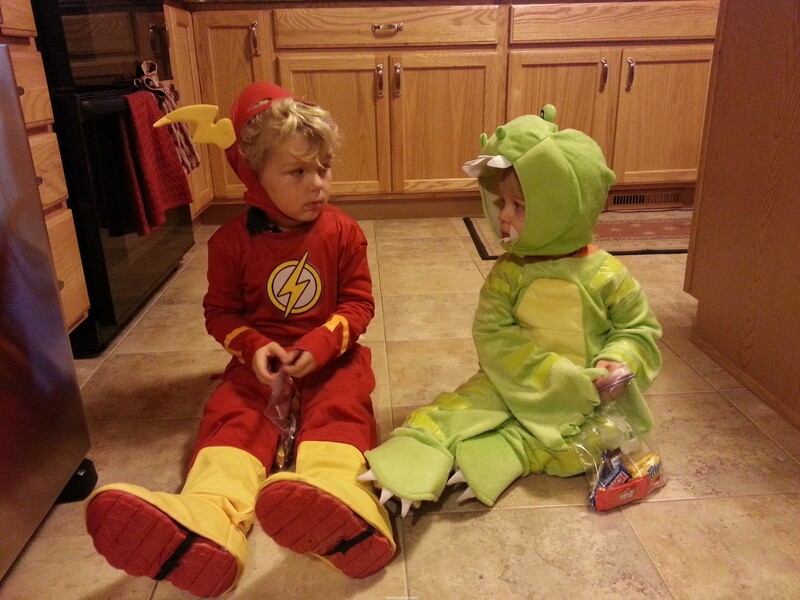 Halloween was joyful for my kids. They loved it. It’s not my favorite day of the year anyway, and this year the entire week was just hard. My favorite 6-year old had a rough week too. We cried a lot together this week. We could use your prayers. We ended the week on a high note: I got my make up done with one of my favorite friends, and then we all enjoyed food and fun with her family. I laughed so hard I snorted. We all did. So we are still on the struggle bus searching for some answers and ways to help our guy, and I am coming down with a cold, and Alice needs dental surgery on Monday for some really bad cavities (she’s a diva and won’t sit for the dentist), and the list goes on. BUT, we have friends and family who love us and let us cry and treat us so well. It’s amazing what love can do. We are going to lean hard on love for awhile. 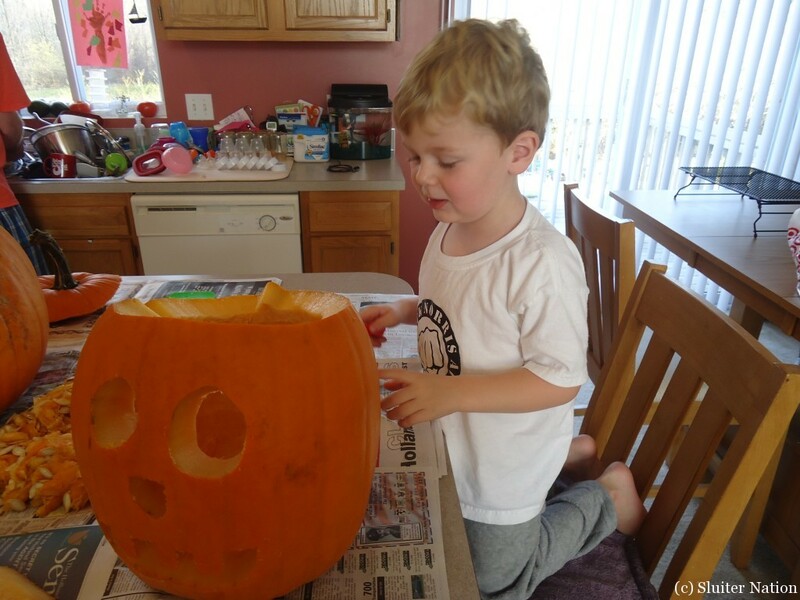 And may we all be as proud of our accomplishments as Charlie was of his Halloween costume and pumpkin carving abilities (it’s a wolf howling at the moon, in case you could tell from the obvious design). I’m going to try to post every day! 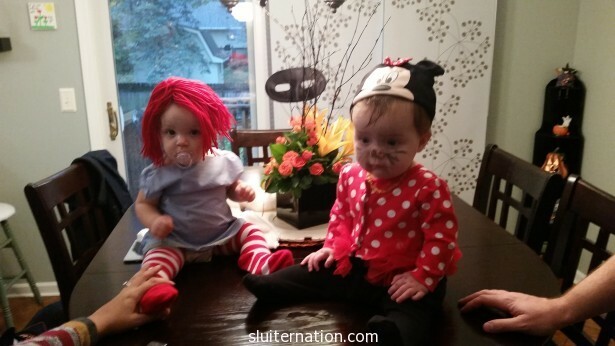 Let’s start with an easy one: Halloween. 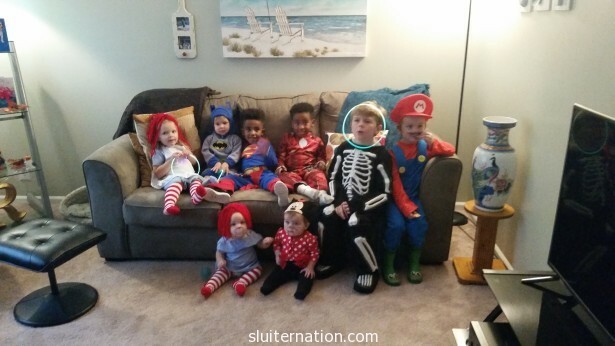 The kids were so much fun this year for Halloween. I think it was the first year where all three really understood and were able to participate in their own, age-appropriate way. Eddie and Charlie were very much a part of choosing their costumes this year. Eddie, of course, chose Harry Potter. We have been reading the books together (we read through the first one and watched the movie, and now we are on the second one). He is so in love with the characters and their stories. And I have never read the books before, so I am experiencing it for the first time as well. Having his joy and reactions as we read make me love the story even more. 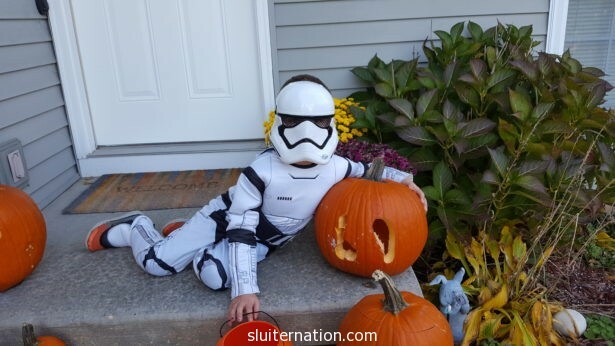 It wasn’t even a question who he would dress up as for Halloween. I have no idea why he is grumpy in the photo, by the way. This didn’t last. 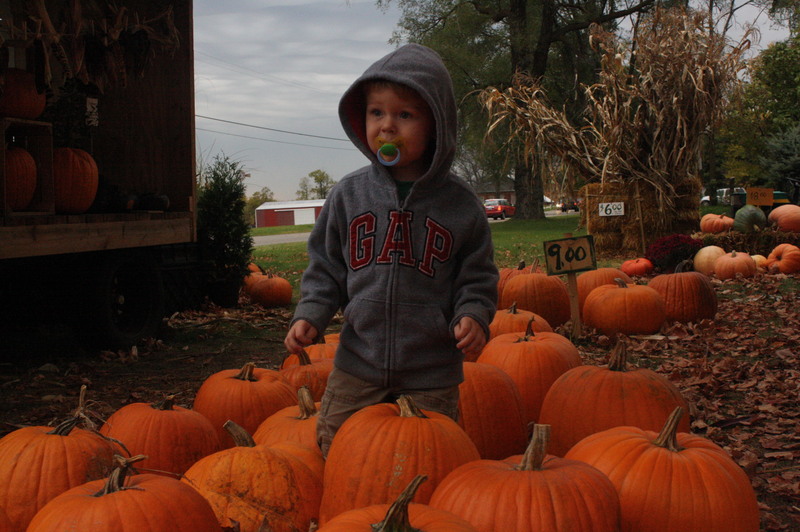 Two seconds later he was fine…and on a sugar high. Charlie wanted to be his stuffed kitty for Halloween. You guys, I am so not crafty. Not at all. I like to buy Halloween costumes. But he wanted to be not just any cat, but HIS cat. His brown cat with white paws. So like a good mom, I searched Amazon and used our Prime membership to buy brown sweat pants and a hoodie (at least they are actual clothes he can wear again, right?). Then I went to Michael’s Crafts and walked around like a lost idiot for 20 minutes trying to figure out ears and a tail. I could have bought black cat ears, but I knew that wouldn’t be good enough. I found brown and pink felt that I could turn into ears using some fabric glue. For the tail, I found a 6-foot long, thick pipe cleaner! I tied it around his waist and pulled his shirt down over it and called it good! I even hand-sewed the ears to the hood of his sweatshirt. Then Cortney donated two pairs of socks so he could cover his shoes and feet so they looked like paws. I finished the look with eyeliner whiskers and lipstick pink nose! He was so happy! It made my whole day! And Miss Alice was a cute little bumblebee thanks to a hand-me-down costume from her cousin, Maria. It had a tutu, so she loved it. Our tradition is to go to Granny’s house first since her birthday is the day before Halloween and Cort’s brother’s birthday is ON Halloween. It’s fun that we all go at the same time. Granny even puts out sandwiches and chips so we get some good food before heading out for all the candy! 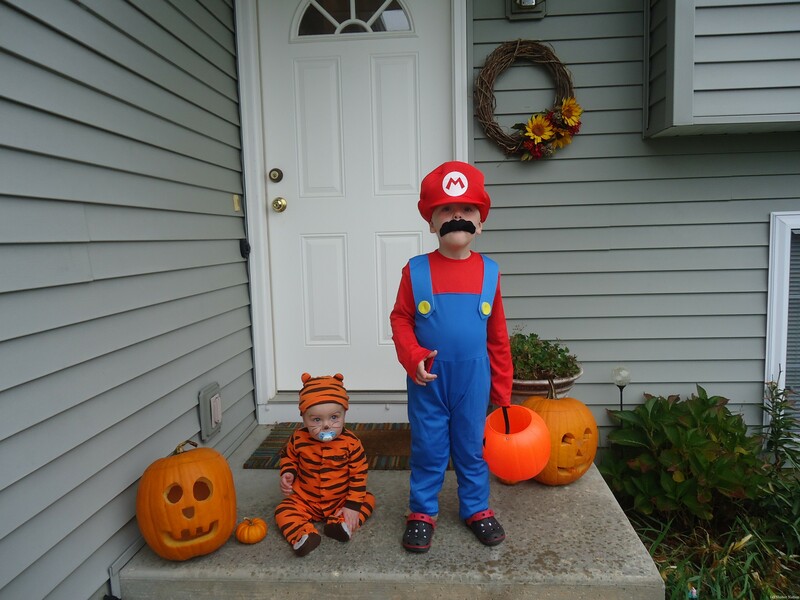 It’s probably what I like best about Halloween other than seeing my kids love their costumes. 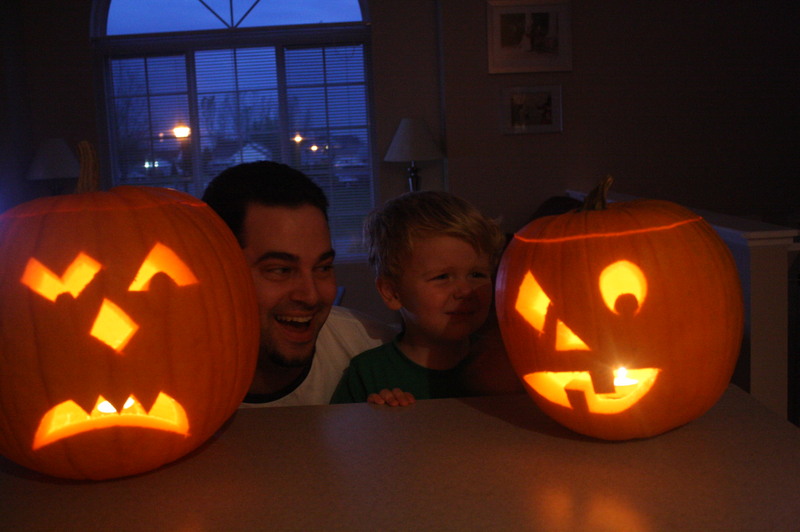 In years past, we have taken the kids to see my parents the day before Halloween, but this year I forgot. So we headed over there. It was totally fine, but we didn’t get back to our own subdivision to trick-or-treat until 7pm and by then a lot of the houses had their lights off. 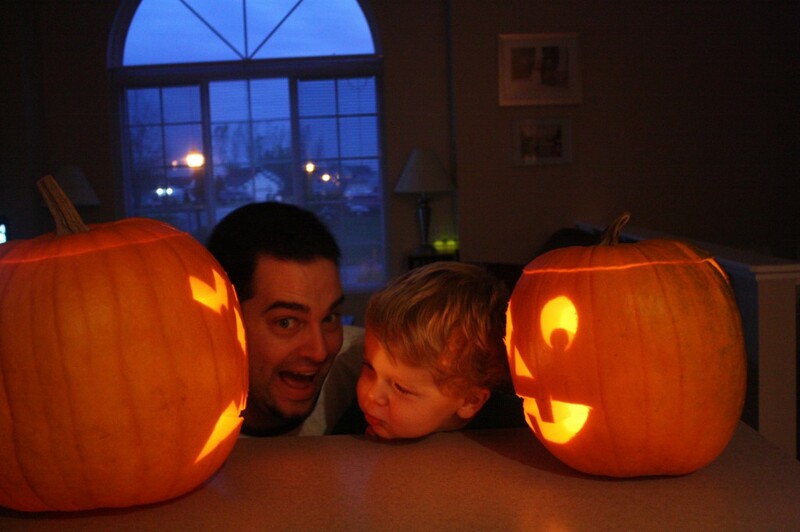 Cortney dropped the boys and me off in the subdivision and took Alice home and we trick-or-treated our way home. The boys got at least 6 or 7 houses and they were totally happy with that. It was actually sort of fun watching them run from house to house together. The proud momma moment was hearing them say “thank you! Have a great night!” to each candy giver. Because we got back so late, live on a dead end, and had no neighbors with lights on, we only got one trick-or-treater, so now we have a bowl of like 200 pieces of candy leftover. Oops. The kids didn’t get a ridiculous amount of candy, but they didn’t even really notice. They were so excited about what they did get, that it made me smile. 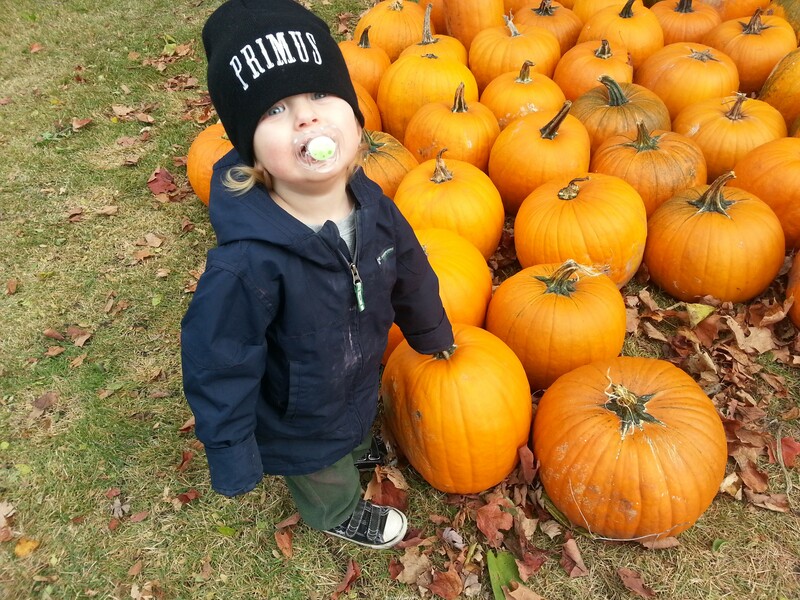 Besides, we really don’t need that much candy in the house (especially with the leftover bowl of it!). I don’t usually really love Halloween, but this year I maybe liked it a little. 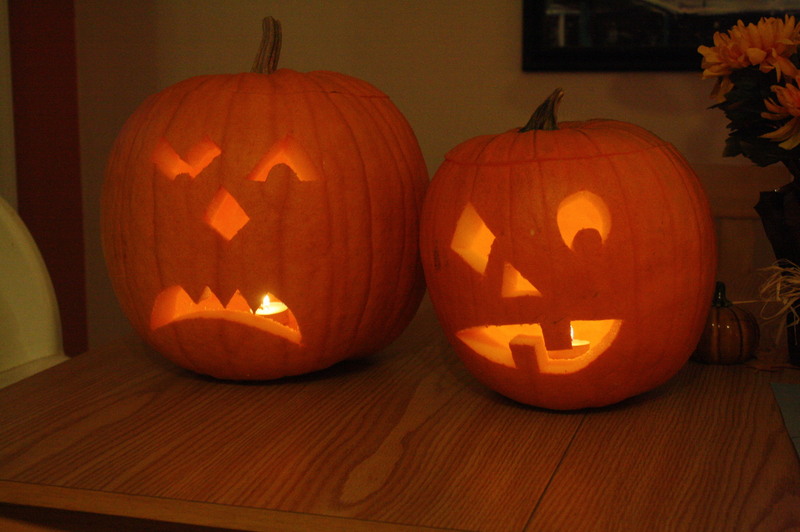 Halloween is, by far, NOT my most favorite holiday. If we didn’t have kids, Cortney and I would probably skip it all together. I don’t like scary things. I don’t like dressing up. I don’t like handing out candy. 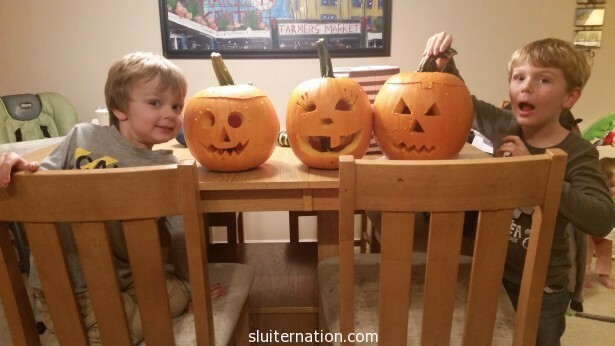 Of course our kids love all of these things, so we roll with it. I think Charlie would dress up in costumes every day of the year if we let him judging on how often he has worn his batman mask already this month. And candy? Forget about it. 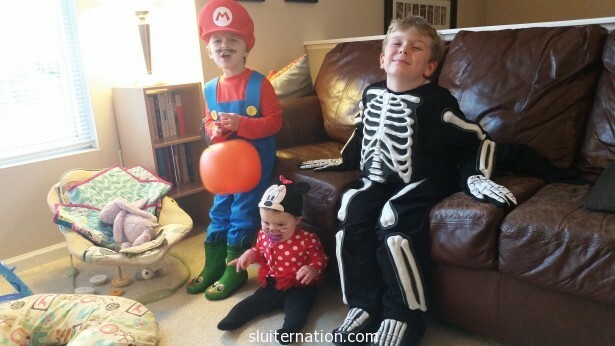 My kids try every trick in the book to get candy for every meal. (It doesn’t work. There is much sadness in the Nation). As for scary things, Eddie loves it. Well, he doesn’t like truly freaky things, but spooky stuff is totally his jam. Three days a week we get home about an hour before Cortney and The Littles, so Eddie can get on his Netflix profile and watch what he wants. The rule is that when Cortney gets home with The Littles, he has to turn on PBS because the shows he watches seem to me like they might be a little spooky for Charlie, and way too spooky for Alice. Eddie is a true binge-watcher, so when he finds a show he watches ALL the episodes before moving on. His latest spooky binges have included Scooby Doo, any and all superhero things (which I get are not traditionally spooky, but I think they could be a little scary), Power Rangers (again, it’s not ghosts and vampires, but it’s got some pretty creepy monsters), and Monster High. He’s also watched Charlie and the Chocolate Factory, Curious George: A Boo Fest, and Hotel Transylvania 2 a dozen times each. I think he’s old enough now to watch ET, so we might have to do a mom and son movie night soon! Alice and Charlie are just excited that season two of Beat Bugs is now available. Charlie just realized there are more episodes of Dinotrux. And Eddie found season three of The Mr. Peabody and Sherman Show, another favorite around here. I haven’t told him yet, but Eddie will also be jazzed that season one of Skylanders Academy will be available by the end of the month…because dragons. As for this year’s costumes, I will be sharing pictures of those soon enough. Eddie, every the spooky spookerton, chose to be a skeleton again this year. 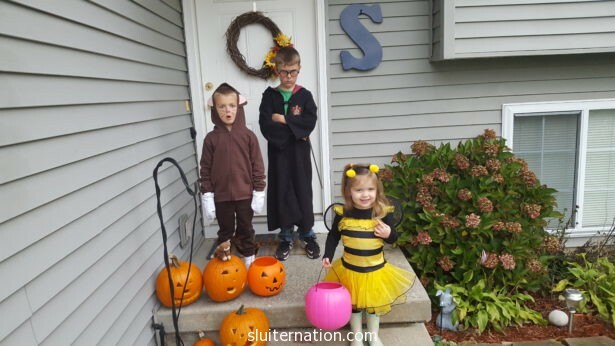 Charlie chose a batman costume he found (hence the mask he’s been wearing for the past two weeks), and Alice is going as a lady bug…hopefully. 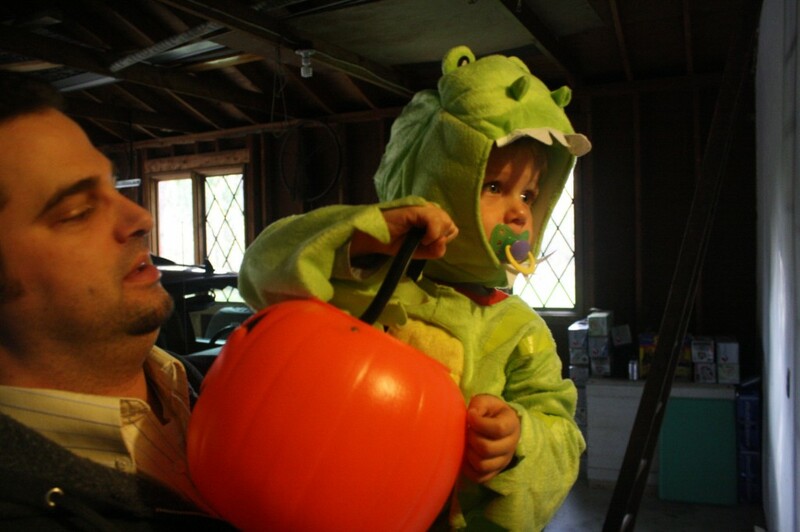 I have the costume from a friend, but as we know, toddlers can be persnickety when it comes to actually wearing the costume. Here’s hoping! 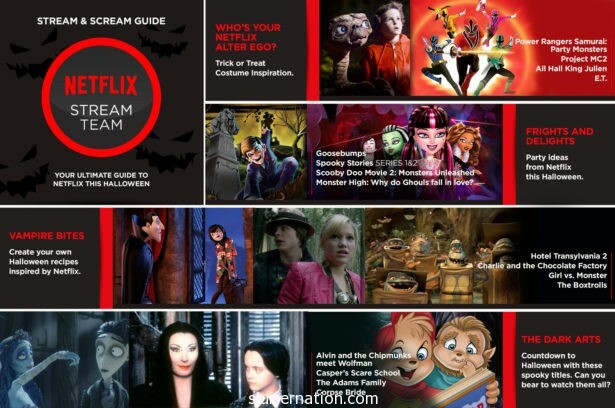 Anyway, what spooky shows do your kids like to watch? Anything we should add to our list? This is not a sponsored post. 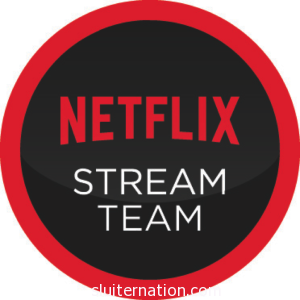 I am part of the Netflix Stream Team and am provided with Netflix and a device to watch it on. All opinions are our own. Oh, I have tried to love it. I have. As kid, it was fun to dress up for the Halloween party that we had in school. In my memory we took half the day just getting our costumes on and asking our teachers to zip, snap, and attach necessary parts to our costumes that our moms had sent along in a plastic bag. Those poor teachers also had the duty of smearing on the make up our moms sent and spraying the color in our hair that we brought in an aerosol can. We had fun games, dunked our made up faces in a bucket of water in hopes of getting an apple that other people’s face had been on, and then marched around the school for everyone to see our costumes. After about 3rd grade, the fun wasn’t as fun anymore. We didn’t have the money for fancy store-bought costumes and because we started discussing costume ideas about three days before Halloween, our costumes usually involved jeans and my dad’s hunting camo make-up stuff (I was a witch for many, many years in a row). Even in college I never really cared about dressing up for Halloween parties. It was too much work to be too uncomfortable. And if a normal Sunday morning was somewhat “rough”, the day after a Halloween party was horrible because it usually involved doing laundry to get fake blood, hair color, sweat, and beer out of your pillow case. As a full-fledged adult living on my own, I thought Halloween was cute for exactly one year. The first year I lived in our current house and was able to hand out trick or treat candy. 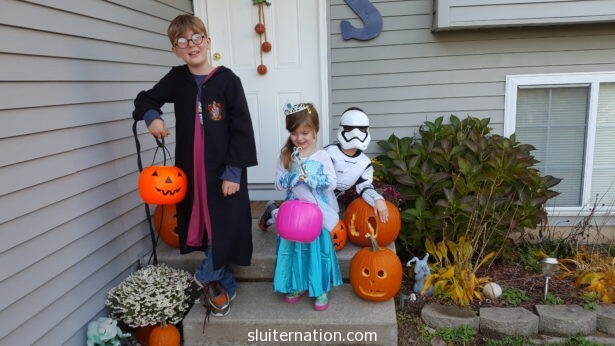 Growing up, we lived out where there were just no trick or treaters (we went to my cousin’s neighborhood to trick or treat). 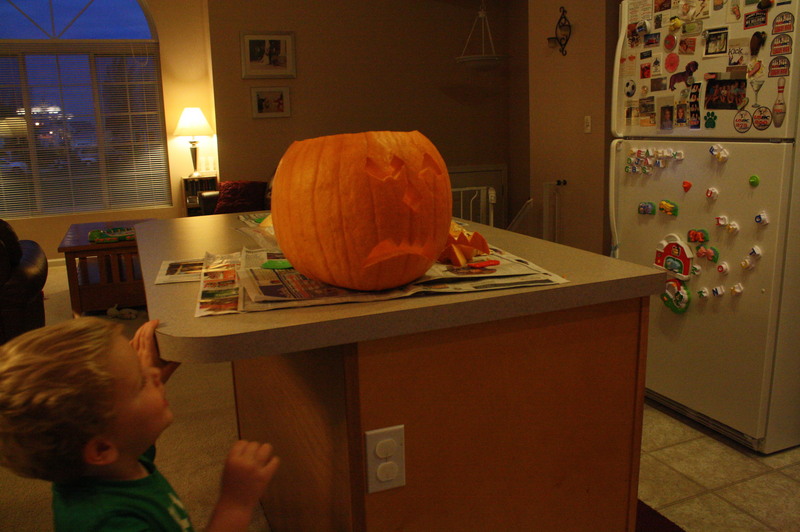 The next year I realized that giving out candy is not all that awesome since I am not really a fan of grabby children. I thought maybe my attitude would change once we had kids. Eddie’s first Halloween was sort of nice. We dressed him up, took him to see his Grandmas, and then came home. We successfully missed the trick or treaters and we didn’t have to actually go out trick or treating. 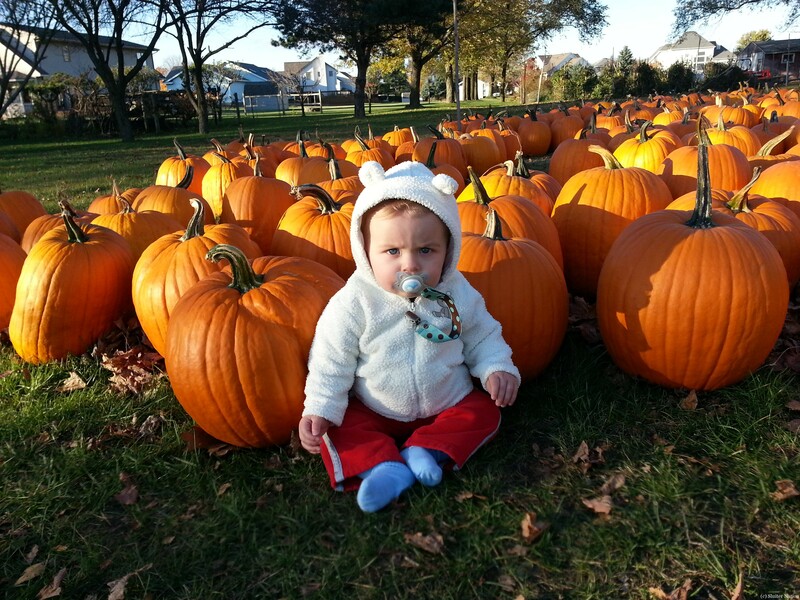 Eddie’s second Halloween was Ok too since there was no real trick or treating. He did two houses and then was done. And again, I sort of ignored trick or treaters. Eddie’s third Halloween had all the signs of Halloween going bad. He was excited up until the actual day. 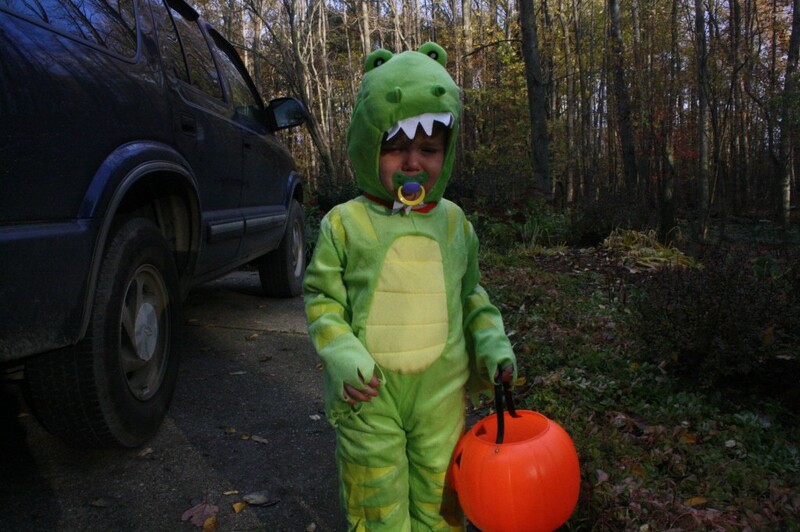 Then he hated his costume, didn’t want to say trick or treat, was scared of everything…it ended in tears. This year was the culmination of all the yuck about this “holiday”. First, we picked our pumpkins out at the last minute, I didn’t bring my big camera to the “patch”, and Eddie was the pits during the carving so everything went so fast there was no time for action shots…or finished product shots. even Charlie was angry about it all. he wanted to actually carve so badly, but, well…he’s 3. knives were not happening. but tantrums were. And then there was the actual day. Halloween was on a work night so Cort had to rush to daycare to pick up the boys early, and I had to rush home from helping students after school (did I mention this week is the end of the first quarter? SO BUSY WITH ALL THE THINGS). Then we flew through dinner so quickly I am not even sure any of us tasted it. 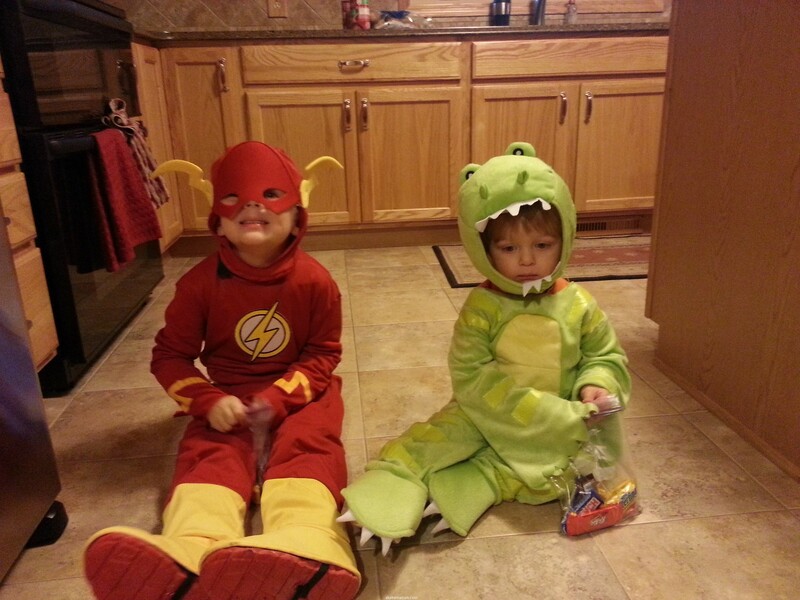 In a blur of Cort cleaning up dinner and my getting the boys in their costumes we were out the door by 5:45pm to hit up the grandma’s houses to show off the boys and for them to collect their treat bags. At least they are cute! 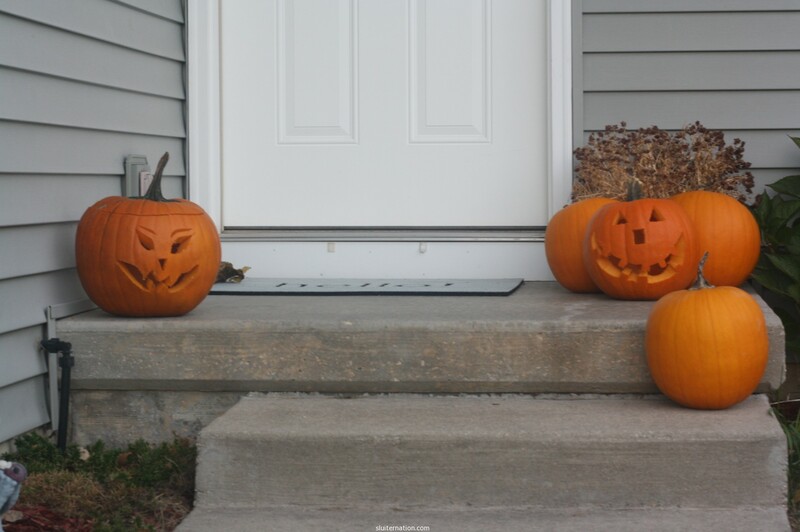 When we got back just before 7pm, I had barely turned the porch light on and the trick or treaters descended upon our house like moths to a flame. Cort took Eddie out into the neighborhood. I should mention that Eddie whined the entire car ride from my mom’s house to my mother-in-law’s house about eating candy. And then whined from my mother-in-law’s house all the way to our house. 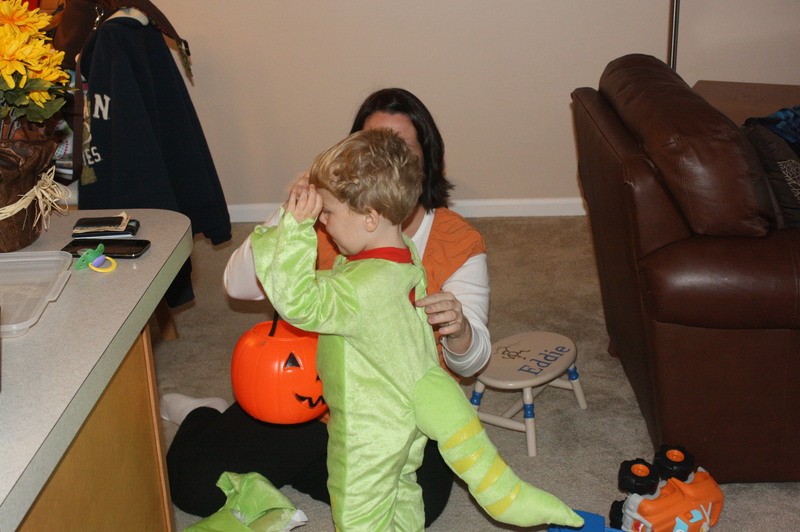 And then whined when we made him go potty before trick-or-treating. It was awesome. Oh wait. no. It was not. 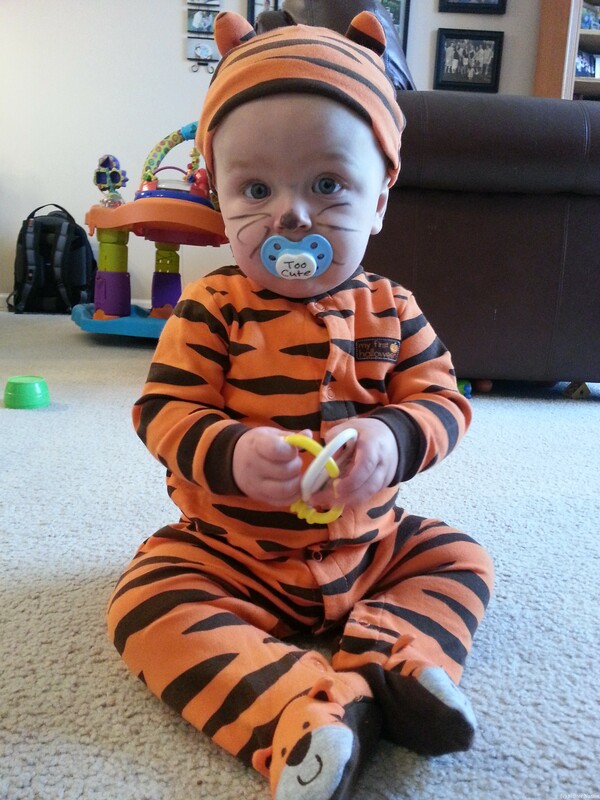 tiny tiger with a big growl…er…cry. every time he was forced into a car seat. 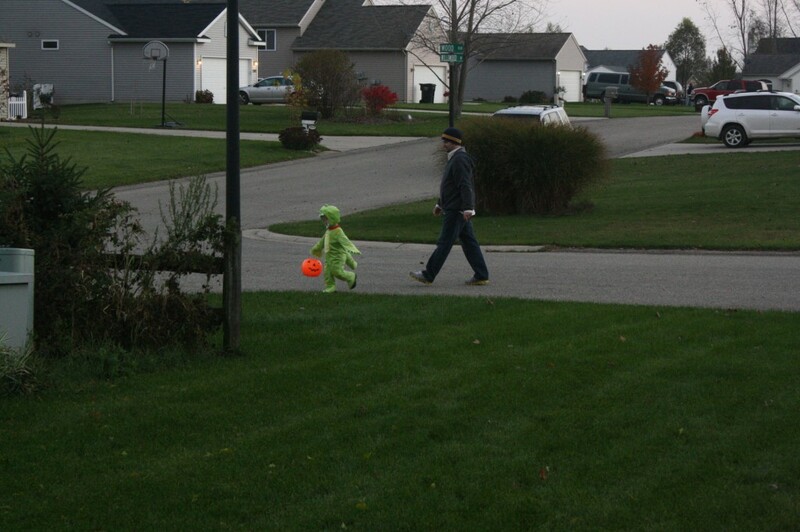 Eddie caught on to the trick or treating thing like a boss according to Cort. Not surprising since he would do just about anything for a bite of chocolate. Including giving away his baby brother (which is why Charlie stayed home with me). 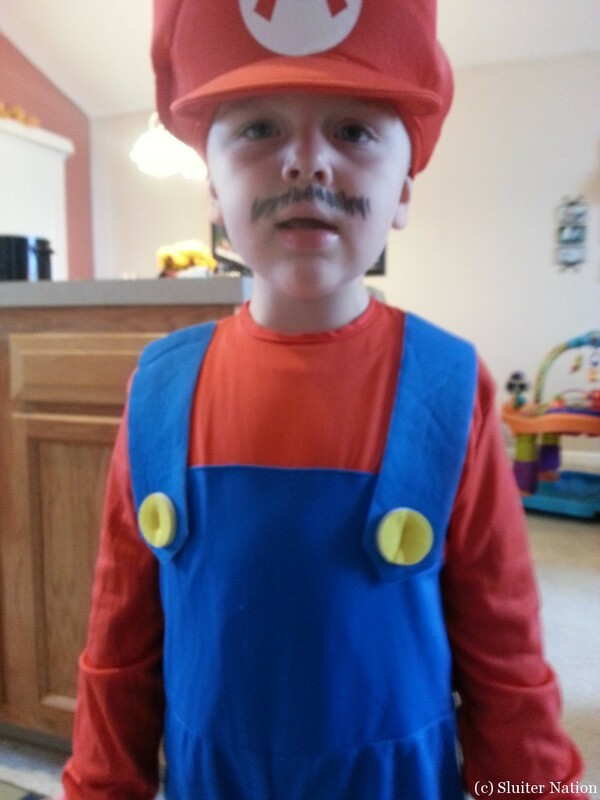 he wasn’t a fan of the stick on mustache, so I drew him one…apparently he was “creeper” mario. 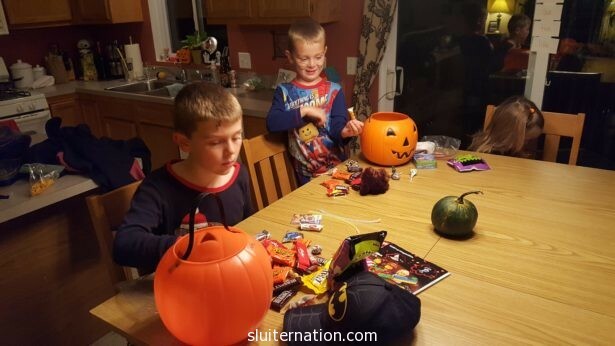 When Eddie got back from trick or treating, he handed out candy to a few kids that came by before we turned off the porch light so we could do bedtime. 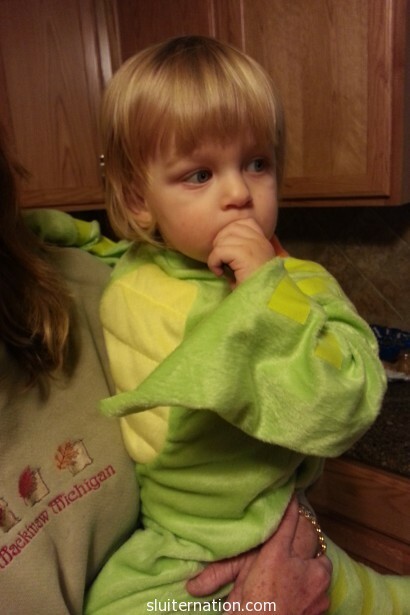 His costume was a huge hit with all the older kids. After the Mario costume came off? All that whining he had been doing suddenly seemed like angelic singing compared to the all out devil tantrums he started throwing at bedtime. That child didn’t finally stay in his bed without tears or fits until close to 10pm. And mommy had to take an extra anxiety pill so she wouldn’t explode all over the house with ugliness. Oh, and then to make it all just right? Eddie puked at daycare this morning. After having him home for the rest of the day, it has been determined that the puke was due to over-tired, over-excited, over-sugared. 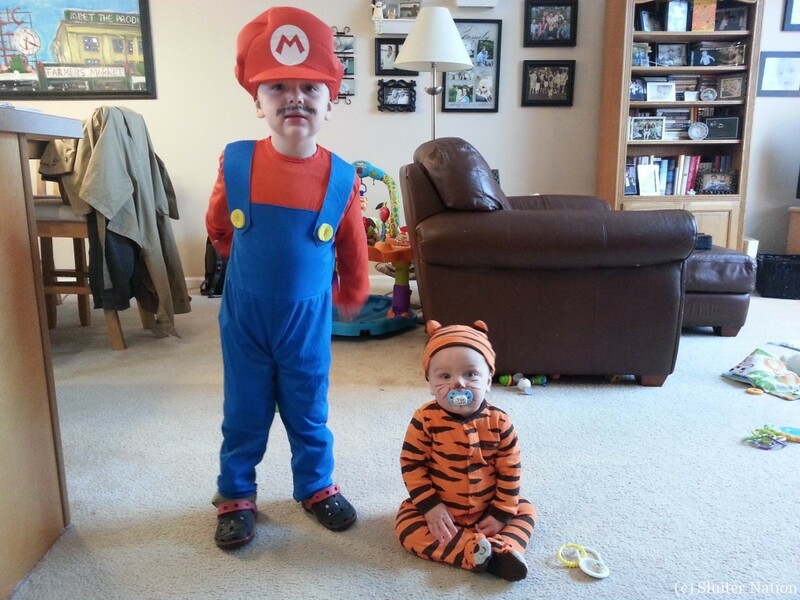 The cuteness almost makes it all worth it. almost. I’m chalking this year’s ugliness up to Eddie’s age and trying to cram too much in. 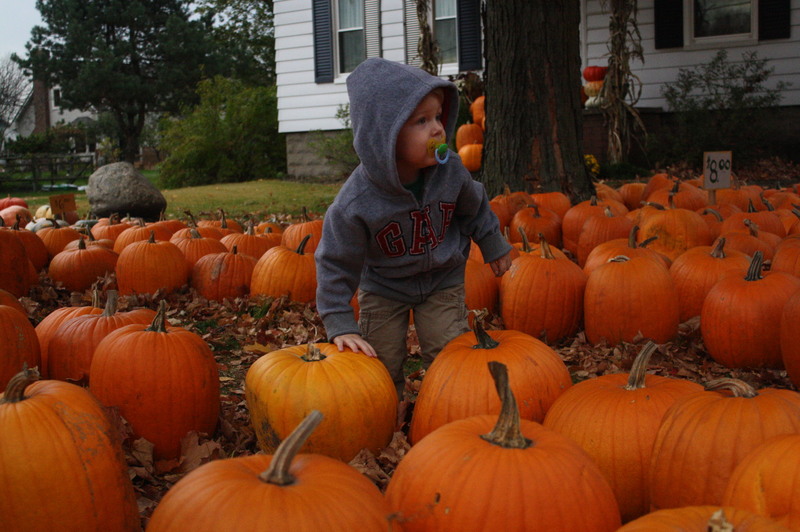 Next year, we may have to skip the grandmas and just do some trick or treating. Because I just can’t handle it all. 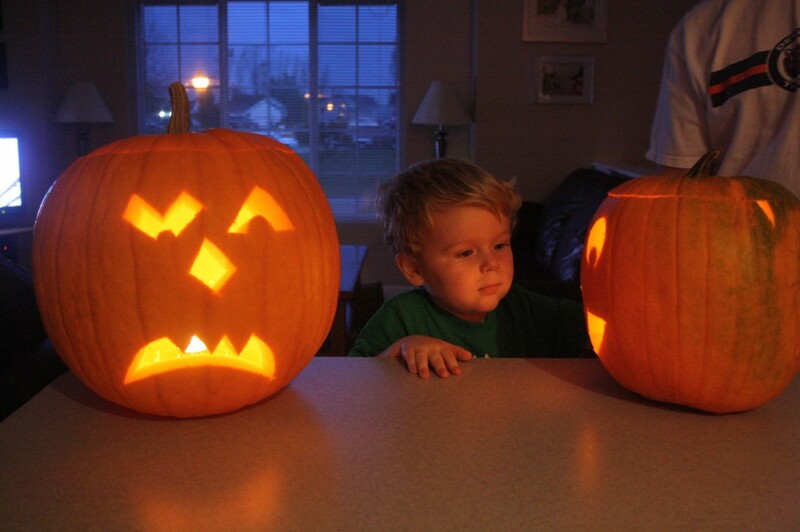 I am not the mom who is awesome at Halloween. I can accept that. Hopefully my kids can too and they make friends with the kid whose mom is. but what about those guts? 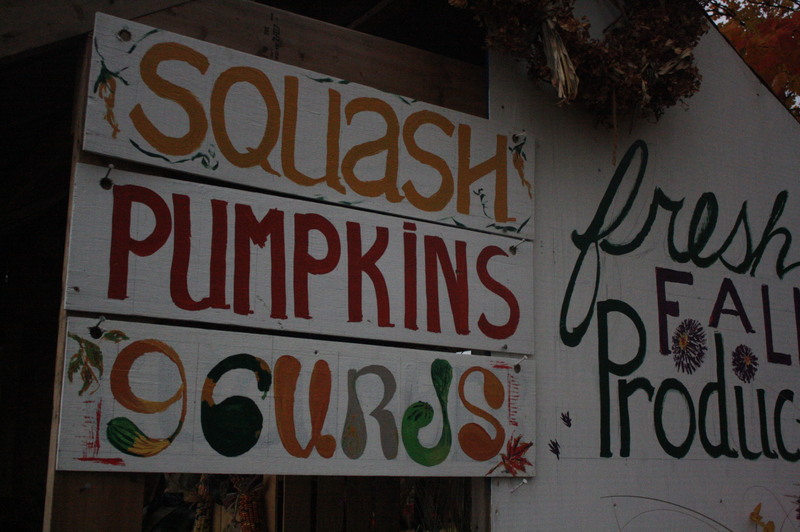 Tuesday after work we hit up a local pumpkin patch. As soon as we parked the truck it started to rain. But a little rain did not deter us from our mission. 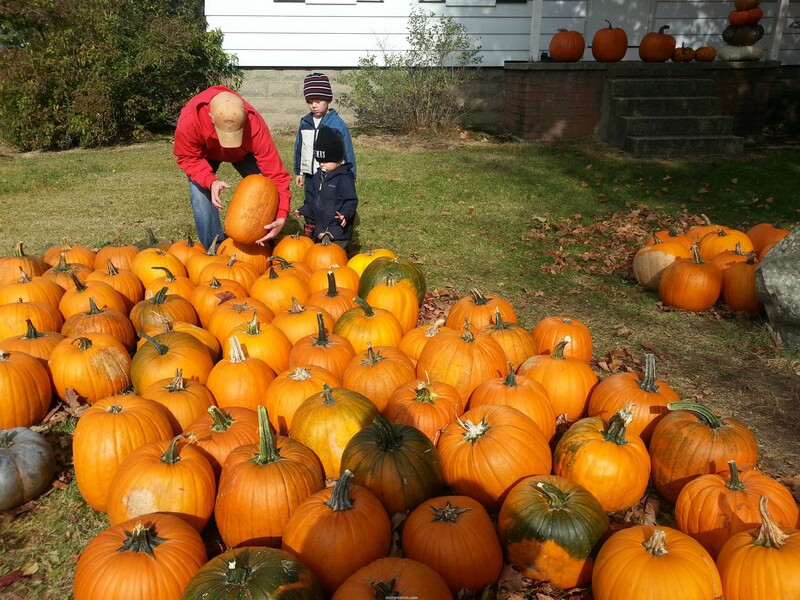 After all, we have limited time in our stupid busy schedule for pumpkin choosing. what? 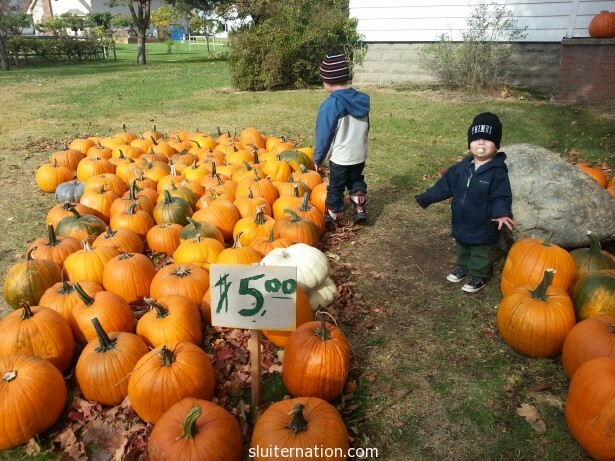 stay in the $6 pumpkins? you are no fun, daddy. Before getting back in the warm, dry truck, we successfully chose a $6 for Eddie and a $4 for Charlie. someone thought the guts were too gross for touching. We could NOT bribe this kid to get near those pumpkin guts. Even when he came to admire daddy’s work? He didn’t get closer than necessary. this is as close as i will get. 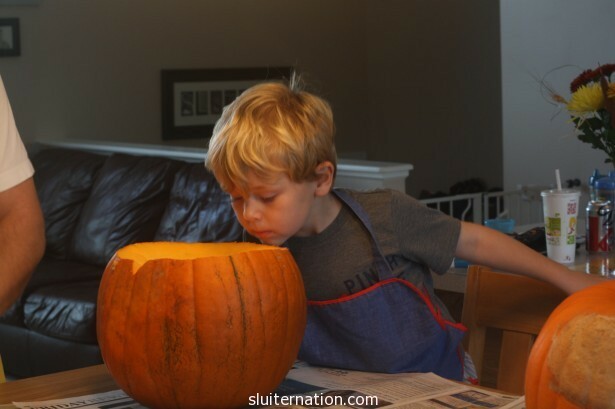 He crept up a little closer during the next carving…but not too close. 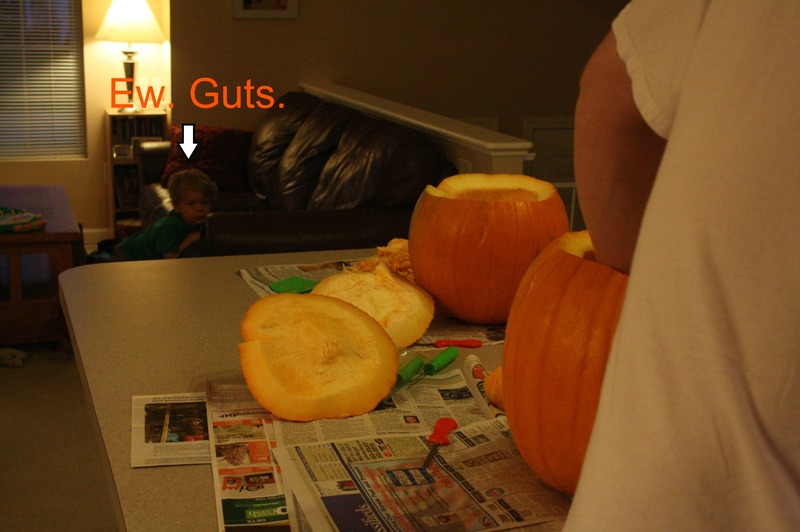 get rid of the guts, momma. seriously. 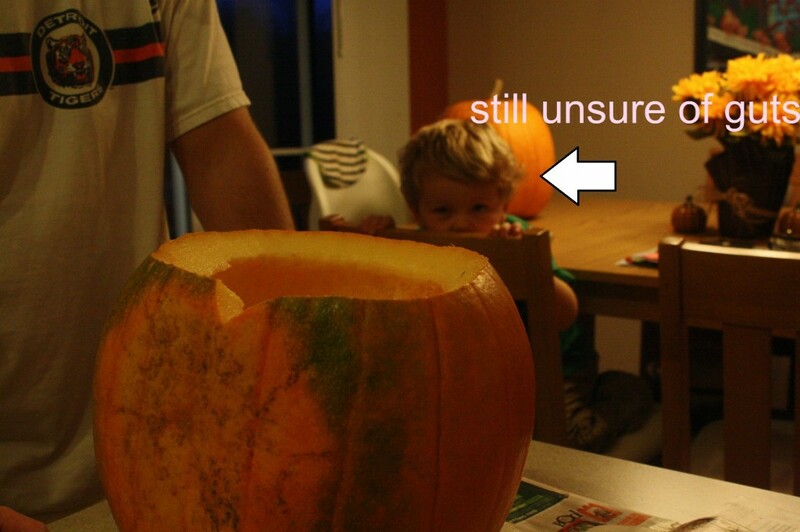 Even posing with the pumpkins was questionable. 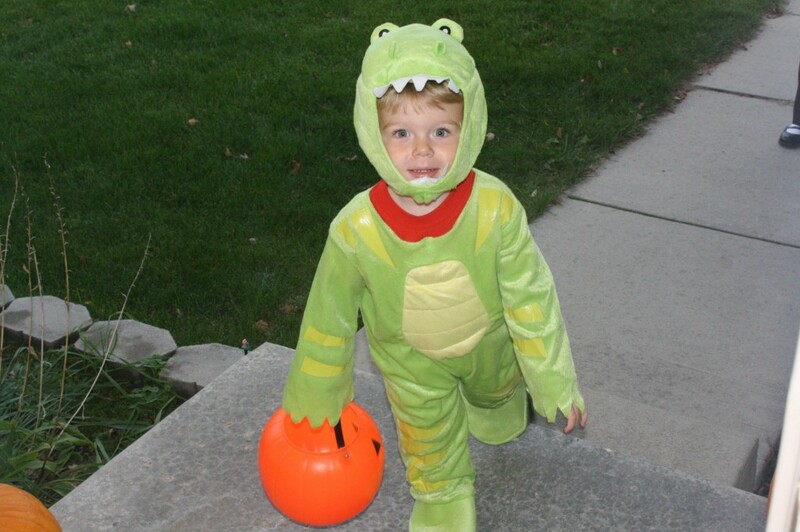 Now we have to convince him to wear the dinosaur suit on Monday night.